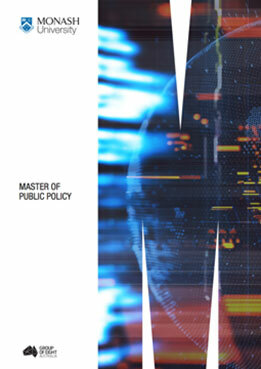 The Master of Public Policy builds practical knowledge and skills for professionals in policy making and management across the spectrum of public sector activities. The course will develop your understanding of the politics and processes of policy formation, the delivery of policy programs, and the political and structural realities that can influence such decision-making. Public policy is a multidisciplinary course at the intersection of the study of public policy theory and practice. Combining expertise from across the university (Social Sciences, Health, Law, Science, Urban Planning, Business, Economics, Engineering and Education), you will be able to focus your studies to contribute to a portfolio of professional development. You will be skilled to work in policy areas across both the public and private sectors, from government organisations, multi-nationals through to independent consultancies. This degree will equip you with industry relevant specialist skills to prepare you for working and living in a world of constant technological, environmental, political and population change. The course is designed to ensure you will make an excellent contribution to your profession using the full range of skills to critically evaluate evidence, develop and support arguments, conduct research using a variety of methodological approaches, advanced oral and written communication and an understanding of the possibilities and challenges of public policy practice and reform. 1 year/1.5 years/2 years (full time), depending on prior qualifications. See entry requirements. An Australian undergraduate degree (or equivalent) with at least credit (60%) average, or qualification/experience or satisfactory substitute that the faculty considers to be equivalent. An Australian undergraduate degree (or equivalent) and an Australian graduate certificate (or equivalent) in a cognate discipline including humanities or social sciences with at least credit (60%) average in both qualifications, or qualification/experience or satisfactory substitute that the faculty considers to be equivalent. An Australian undergraduate honours degree (or equivalent) in a cognate discipline including humanities or social sciences with at least credit (60%) average, or qualification/experience or satisfactory substitute that the faculty considers to be equivalent. 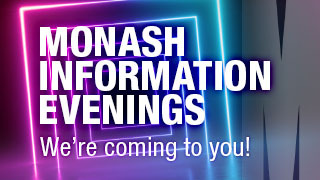 Apply directly to Monash using course code a6028. The course is structured in three parts: Part A. Foundation study, Part B. Core Master’s Study and Part C Advanced Expertise. Depending upon prior qualifications, you may receive credit for Part A or Part C or both. Note that if you are eligible for credit for prior studies you may elect not to receive the credit. These studies provide you with an in-depth understanding of public policy theory and practice. a 24 point research thesis. Students wishing to use this Masters course as a pathway to a higher degree by research should take this second option. Students admitted to the course, who have a recognised honours degree in a cognate discipline including humanities or social sciences, will receive credit for Part C, however, should they wish to complete a 24 point research project as part of the course they should consult with the course coordinator. 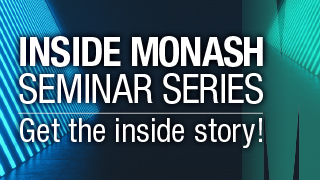 These studies provide you with an opportunity to specialise in a policy related field. If you’re eligible to enrol in the 1.5-year course option, the degree can be completed intensively over less than a 12-month period. You’ll commence in March, and by the following Australian summer (December to February) you’ll complete the degree with either an international field school, research project or professional internship.